This book will change the way you think, sleep, and dream for good. It is a book of psychology and neuroscience, and also of adventure wherein the author explores the extremes to which consciousness can be stretched, from the lucid dream to the quasi-mystical substratum of awareness known as the Pure Conscious Event. 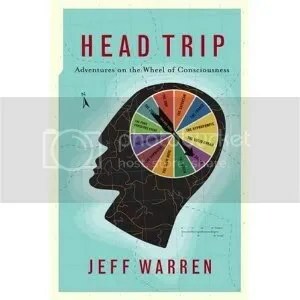 Replete with stylish graphics and brightened by comic panels conceived and drawn by the author, “Head Trip” is an instant classic, a brilliant and original description of the shifting experience of consciousness that’s also a practical guide to enhancing creativity and mental health. This book does not just inform and entertain – it shows how every one of us can expand upon the ways we experience being alive.